Yogi Adityanath said that dispute over Vande Mataram shows the narrow mindedness of people. 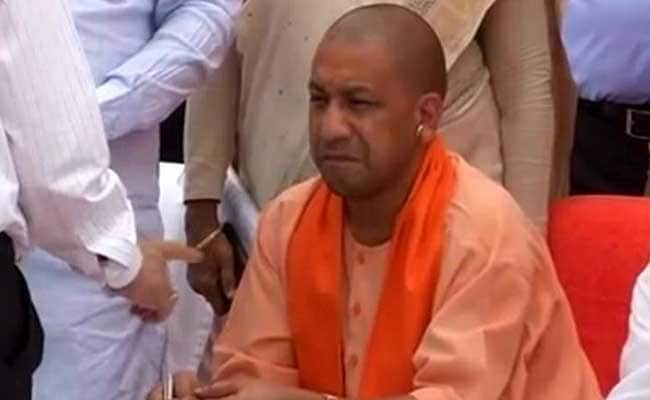 Last year, RSS chief had called Vande Mataram "the real national anthem"
Days after the Meerut municipal corporation proposed to throw out councilors who do not sing Vande Mataram, Uttar Pradesh Yogi Adityanath waded into the controversy on Saturday, insisting that it reflected the "narrow mindedness" of the people opposing the national song. "Some people are saying that we will not sing Vande Mataram ... we want this country to move ahead in the 21st century and the matter of dispute is that we will sing Vande Mataram or not," the Chief Minister said at a book release function at the state capital Lucknow's Raj Bhavan. "This is a matter of concern," he said. At a meeting after the BJP government led by the saffron-robed Adityanath took over, the Meerut Mayor Harikant Ahluwalia had proposed to expel members who do not sing the national song. The move was opposed by seven Muslim members who walked out the next time Vande Mataram was played; Mr Ahluwalia did not allow them to return after the song was over. A few days later, Allahabad's civic body also decided to introduce a similar rule. It was opposed by Samajwadi Party councillors again. It has been argued that the song contains verses that are in conflict with the beliefs of Islam. "We will have to find a way out to overcome this narrow mindedness," the Chief Minister said, recalling the 150th anniversary function of the Allahabad High Court earlier this month which started with the rendition of Vande Mataram. "It was such a good sight," he said in the presence of Governor Ram Naik. As a parliamentarian, Naik had played a key role in introducing the practice of singing of national anthem and "Vande Mataram" on the opening and closing days of every Session of parliament. The practice was started only in 1992. When a BJP member moved the Supreme Court in February to seek directions to the government to frame a policy on the national flag, national anthem and national song, the top court had made it clear that there was really no concept of a national song in the Constitution. Last year, Rashtriya Swayamsevak Sangh chief Mohan Bhagwat had called Vande Mataram "the real national anthem" as opposed to the constitutionally-mandated national anthem, Jana Gana Mana.